Growing up in a middle class home in Germany in the 1980s and 1990s, I was privileged enough to learn quite a bit and grow aware of environmental problems. I remember having to drink UHT milk and my father trying to explain me what had happened in Chernobyl, which immediately turned me into an opponent of nuclear energy. I remember watching a puppet play in school about the depletion of the ozone layer and coming home terrified, urging my mother to start recycling. When I started travelling and living in other countries I soon realised that environmental consciousness was not a universal attitude, and definitely not a Western or a European one. In Israeli politics the attitude towards environmentalism is best summarised by a quote from Pinchas Sapir, a legendary politician, then Israel's Minister of Finance, who once asked a parliament member: "what is that ecology shmecology you are constantly talking about?". This question does not only reflect Sapir's ignorance, but also his disdain and alienation from environmental trends. A lot has changed since Sapir's times, and throughout the years Israel, like many other countries also saw the emergence of two green parties. 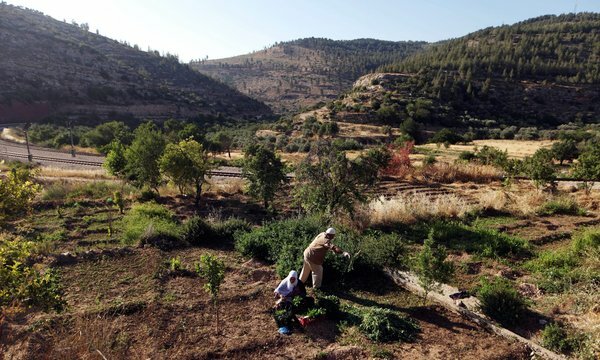 However, as opposed to other industrialised countries, Israel's preoccupation with security and territorial issues has always overshadowed a deeper interest in the protection of the environment and therefore the state of Israel's ecological system looks rather grim. 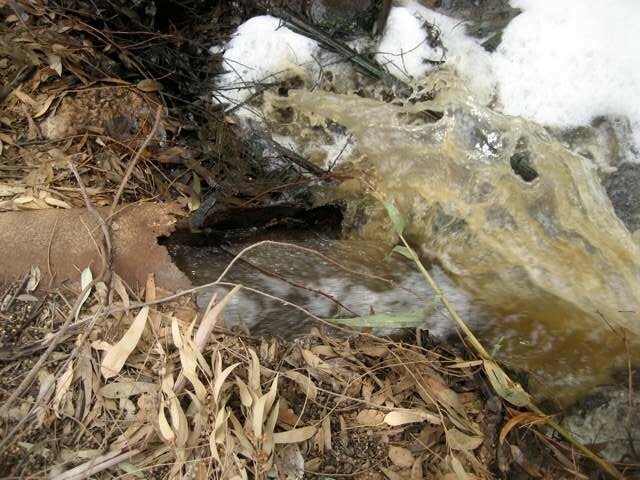 Due to industrial and municipal sewage almost all of the country's rivers and streams, including the Jordan River, are polluted. This in turn has grave effects on the biodiversity surrounding those areas, and in the case of the Jordan River, on the Dead Sea, one of Israel's top tourist sites. Due to over-exploitation and almost total diversion of the Lower Jordan River, in addition to the activities of the Dead Sea mineral extraction industry the Dead Sea has been harmed severely. Similarly, Israel's marine environment, which is hardly protected at all, shows signs of significant damage caused by expanding sea-based infrastructure programs, including natural gas and oil drilling, desalinisation plants, port expansion etc. Due to population growth and urbanisation and a steep rise in automobile use air pollution in Israel has increased sharply, and the vast majority of solid waste generated in the country is buried in primitive landfills. Considering how little attention is paid to the environment west of the Green Line, the neglect of the ecological system in the occupied West Bank by Israel is hardly surprising. Time and again, human rights organisations have criticised the Israeli government for its failure to construct advanced regional wastewater treatment plants in the West Bank settlements and an estimated quarter of settlement sewage is released without treatment. 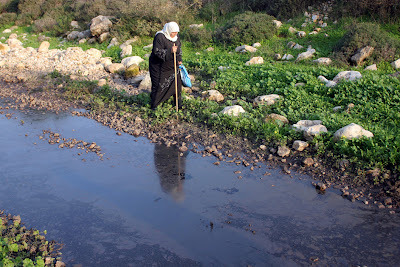 Since settlements are usually located at higher altitudes, their untreated wastewater flows down to nearby Palestinian communities and pollute the ground, as well as natural water sources, such as springs and wells. Sewage water flows not only from the settlements; an estimated 11 million cubic metres of untreated sewage water are pumped by the Jerusalem municipality down the Kidron Valley and into the West Bank. 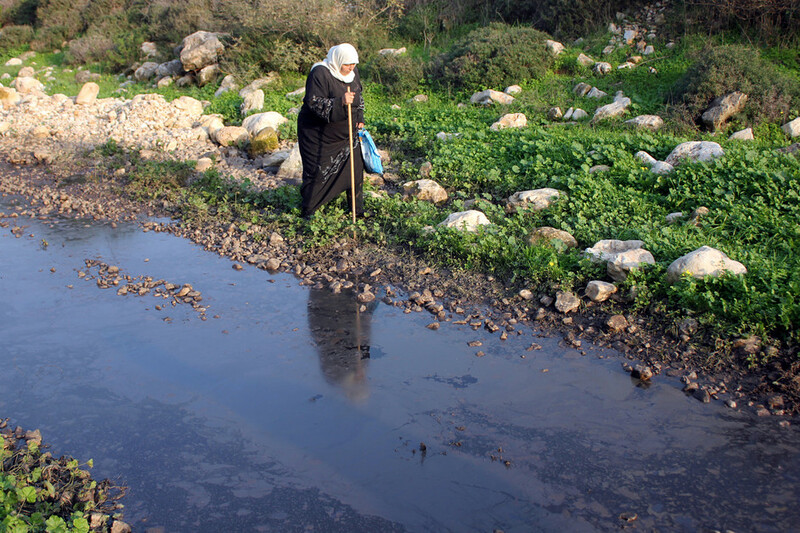 In addition to that an estimated 96% of the wastewater stemming from Palestinian communities is not treated at all. While the Israeli human rights group B'tselem also criticises the Palestinian Authority (PA) for this neglect, they emphasise that "the Israeli authorities have delayed approving plans for building treatment plants, in some cases more than a decade", and that they further attempted "to force the Palestinian Authority to connect settlements to the planned treatment plants, and the PA rejects this demand for political reasons". In addition to that, Israeli companies have been accused of dumping often hazardous and toxic waste near Palestinian communities in the West Bank, rather than spending more money and processing it properly at hazardous waste management sites in Israel. Although it seems that „security“ issues are always prioritised by the Israeli government, a recent case showed that environmental issues can trump territorial ones. Friends of the Earth Middle East (FoEME), a rare joint endeavour by Israelis, Palestinians and Jordanians to save the environment of the region from further deterioration, have petitioned the Israeli High Court to halt the construction of the Separation Barrier around the West Bank village of Battir. According to FoEME the barrier which would cross through a valley of naturally irrigated terrace agriculture dating back thousands of years, would "prevent Battir residents from continuing their ancient cultivation practices" and "as a result destroy the integrity of the site". Arguing with environmental concerns and cultural heritage values, rather than with political ones, FoEME managed to garner the support of the Israeli Nature and Parks Authority which backed their petition, which in turn led to a rare intervention by the Supreme Court which ordered Israeli defense officials to consider other means to monitor the area. A lot of the above described threats to the ecological system would actually require regional cooperation between otherwise not so friendly parties. Whether these groups will be capable to join forces for the sake of environmental protection and disregard political and diplomatic problems is however highly questionable. How anyone in the region is supposed to survive if the environment continues to be destroyed is apparently a different question.